Whether you’re planting a kitchen garden, a container of herbs or merely looking for a hardy perennial to add interest to your landscape, lavender comes strongly recommended. 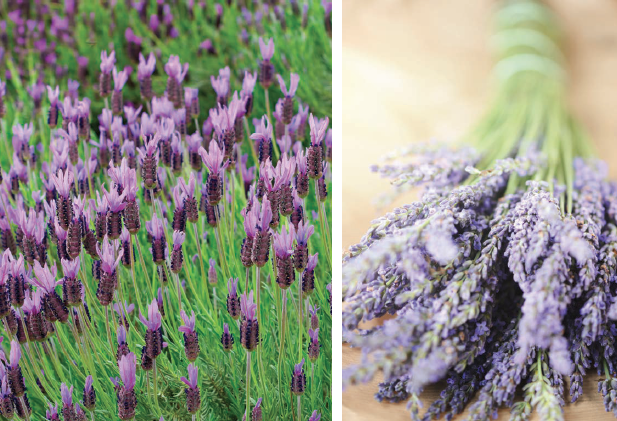 Cultivated from Roman times, lavender has long been prized for both culinary and medicinal purposes, while being drought tolerant, pest resistant and low maintenance once established. A small shrub, with silvery to gray-green evergreen foliage and purple blooms, lavender attracts pollinators while repelling pests such as deer and rabbits, making it an excellent companion to a wide variety of plants. Lavender does well both in containers and the ground, where a row of it makes a pleasing border. As lavender prefers alkaline soils, it does not require much fertilizer, although if you have rich black soil, you might consider adding a phosphorus-rich mix, preferably in the fall. Do not mulch lavender with any soil topping that retains moisture around a plant; a gravel mix is a fine soil cover for it. The secret to a happy lavender plant is well-drained, gravelly soil and lots of sun. The best time to plant lavender is in the spring and early summer. In its first season, lavender will need to be watered a few times a week, but once established, it prefers infrequent, deep watering. 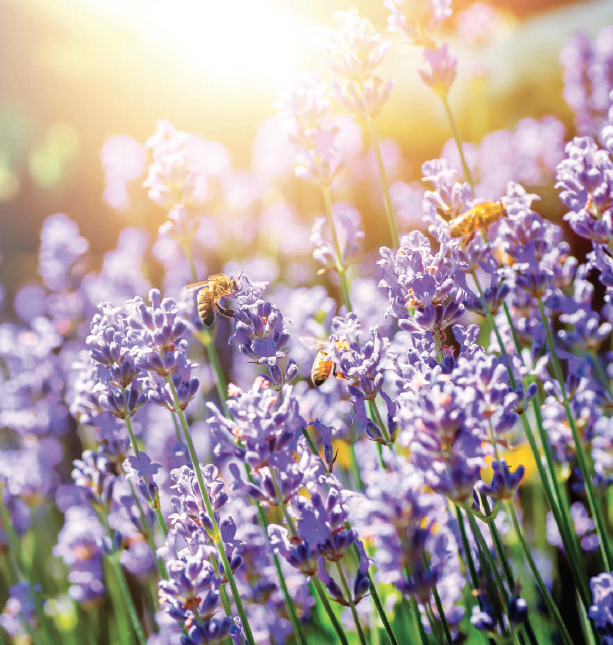 Because blooming lavender is a pollinator favorite, vegetable gardeners frequently plant lavender nearby to ensure pollination of their tomatoes and other plants by bees and butterflies. Its ability to repel deer and rabbits makes it a companion plant for roses and clematis, although it can look quite dramatic when planted with sundrops or lamb’s ear. There really isn’t a bad companion plant for lavender, as long as that plant likes well-drained soil and lots of sun. Most of the lavender varieties that do well in our area bloom in late spring/early summer, although if trimmed soon enough, the plant may bloom a second time. When clipping the blooms, to keep the plants looking full, cut every third or fourth stem. Lavender can be harvested at any point in the blooming process, but if harvested just before fully open, it will keep its scent for months. 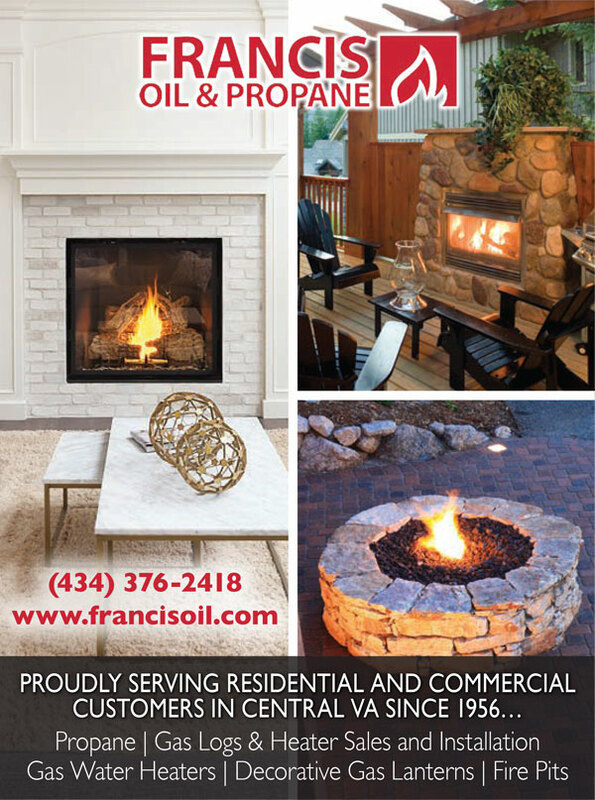 When the plant has finished blooming, trim it back entirely to ensure proper air circulation. Worn-out lavender foliage tends to take care of itself in the spring, so it should never be pruned until after new spring growth appears. When shaping a plant after flowering, do not cut into the old wood. It is the blooms, both fresh and dried, that are utilized in any manner of ways, although the foliage is sometimes used as a substitute for rosemary. One of the herbs in the blend herbs de Provence, lavender can be used as a savory spice, but is probably best known for its use in sweets. It is an excellent addition to shortcakes and pound cakes, whipped cream, lemonade, and even jam. Lavender pairs wonderfully with a variety of berries, particularly strawberries, blueberries and blackberries. Because of its strong flavor, it is recommended to begin with less lavender than you think is sufficient, for a little lavender goes a surprisingly long way. Medicinally, lavender has been found to have antiseptic and anti-inflammatory properties, its oil used on bug bites and minor burns. The calming scent has been known to relieve headaches, aid sleep and alleviate anxiety. The scent also repels insects, so that dried lavender can be used in sachets to protect clothing made of natural fibers such as wool and linen while leaving them freshly scented. A handful of dried lavender sprinkled on a rug and walked on for a day or so before vacuuming is an easy and effective room freshener; as the buds are crushed underfoot, their scent is released. While lavender makes a dramatic addition to any fresh flower arrangement, its stems do not hold up well in water, turning mushy and dropping flowers quickly. A small vase of lavender stands wonderfully on its own though, and will last for some time as long as there is no water. 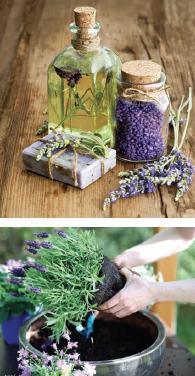 To dry lavender, hang small bunches upside down in a dark, well-ventilated space, preferably with a long stem attached. Dried lavender will keep for some time, particularly if stored in the dark, which will better preserve its color and scent. There are several methods for making essential oil from lavender, most of which utilize the dried blossoms and involve either steaming or infusing them. With its multitude of uses and easygoing manner, it’s no wonder lavender has been prized by gardeners, cooks and healers for centuries. Whatever sort of garden you wish to cultivate, it’s easy to see why lavender should be included.